Anyone had experiences with heat treatment? So the PCO came by today and said that given the amount of stuff in my apartment (I teach, so I have a lot of books and videos), the only viable treatment would be heat. It's expensive ($850 for a single unit), but I'm happy to pay it if it gets the bugs out of my apartment. This particular company only offers a 60 day guarantee for the heat treatment. While the idea of not having to move furniture around is appealing, I wanted to hear from people who used a thermal treatment to see how effective they were for you and whether a 60 day guarantee is reasonable or not. Will one treatment do? If they're going to recur, will they recur within those 60 days? and another question that it might be worth asking... what kind of evidence do you need to provide if they do recur? if you are still getting bites, is that evidence enough to re-treat within those 60 days? or do you have to provide a sample? I believe you are in Southern California. I am a PCO in Florida. 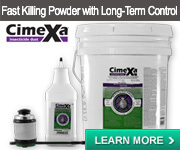 Heat (when done correctly) along with fumigation are the ONLY treatments that can be 100% effective in one treatment. 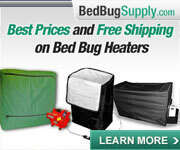 I have used heat for 5+ years on bed bugs. I have had two retreats in approximately 175 jobs. (both were early in our heat career and were resolved on the second treatment). On determining the effectiveness of the treatment, wait a week until after the treatment and hire a canine who has been trained to detect bed bugs. (Preferably NESDCA certified) Dogs can't lie. What about heat in an apartment? Wouldn't the BBs just migrate to escape death? 1/ We are told that vikane gas fumigation, like thermal treatment, can also be 100% effective if done properly. 2/ re: your statement, "dogs can't lie." 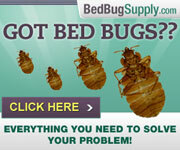 I believe bed bug dogs can be an effective tool. But they are not 100% accurate. It's not a matter of lying, of course, but dogs can make errors (and trainers can handle dogs in such a way that causes false negatives or false positives). Not even NESDCA dogs/handlers are immune. Obvously, I'm biased as a thermal threatment provider. So take the following with the appropriate grain of salt. 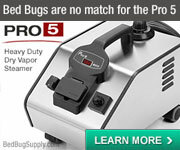 As Killbedbugsnow states when applied properly heat works on the first go round. As has been noted on these forums recently you can have failures. Certain building types and materials are harder or easier to treat. You can have damages. Like anything else, sometimes bad things happen to good people. The key here is like almost any other treatment, success or failure is dependent upon the technician more so than the specific treatment. 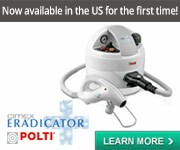 The key difference with thermal is having the PROBABILITY of successful eradication in one treatment. As compared to more traditional methods that when applied properly require, at best,two treatments. We have successfully treated several apartments. The key to eliminating spread is to seal appropriately and most importantly apply the heat in a specific fashion that discourages the insects spread. 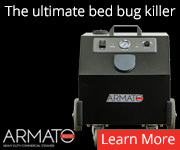 Hi BakedBedBugs and Killbedbugsnow, are there any thermal treatment providers you would recommend in the New York City area? And what are your criteria? As far as I know, no one is doing this in NYC at this time. I'd be pleased if they were. To Nobugs... I am sorry that my statement was confusing. Vikane OR Heat and or Heat and Vikane combined, can be 100% effective. As far as your comments on dogs... You are correct again. However I will take 98 % accuracy on live bugs and 90 % on viable eggs over a human's 35% any time. You are correct again, it depends on the handler and the dog. It is a bonus when you can find a company that has two dogs. (First dog detects, second dog verifies). 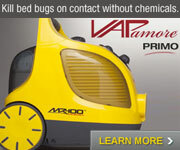 Also hire a canine team that has no affiliation with the pest control company doing the treatment. NESDECA has high standards, with quality individuals on their BOD. (Dr. Koehler, University of Florida is one) Just so you know... I DO NOT have a dog. 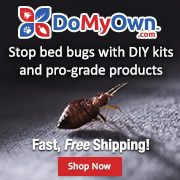 On the movement of bed bugs when you use heat - my experience is that bed bugs have a higher tolerance to heat than other insects. Perhaps is is due to the fact they feed on blood that is in the 97 degree range. When exposed to temps which are raised slowly, they tend to initially try to move deeper into where ever they are harboring... Finally when the heat has become intolerable and they decide to move, it is too late. As Baked says, it is still wise to treat or seal potential areas of escape. anyone doing heat treatments in Chicago? Nobugs, that's a shame -- and kind of surprising, given that this is a known hotspot, and that there are a lot of desperate people willing to spend good money to be rid of the scourge.